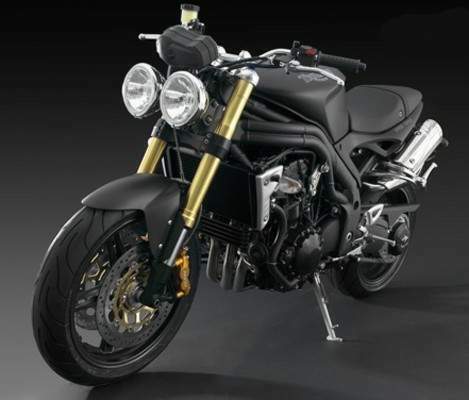 Triumph Motorcycles has introduced a mean and moody Matt Black colour option to further accentuate the popular Speed Triple’s aggressive, stripped down looks and make it stand out even further from the crowd. The 1050cc 2008 Speed Triple is the sharpest yet, featuring a raft of chassis refinements including radial-caliper four-piston Brembo front brakes, Magura tapered bars, an all-new subframe and redesigned multi-spoke wheels. These developments have already proved a big hit with Triumph customers, with strong demand making it once again one of the best-selling bikes in the company’s range. 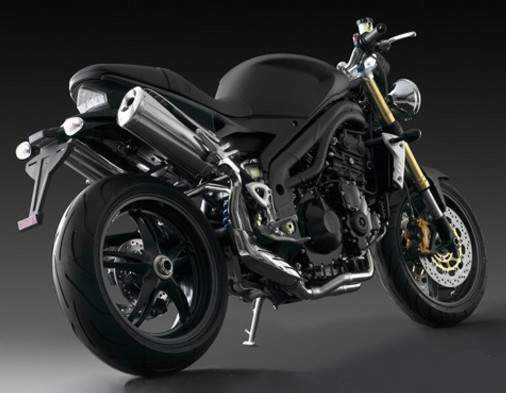 Triumph’s Speed Triple has become an iconic model since the launch of the original version in 1994, delivering unparalleled attitude in a uniquely styled package. Over the years it has been constantly developed in order to maintain its position as the definitive factory streetfighter. Speed Triples are famous for being offered in a variety of eye-catching shades over the years, with the 2008 model coming in Blazing Orange, Jet Black and Fusion White, as well as the new Matt Black option.